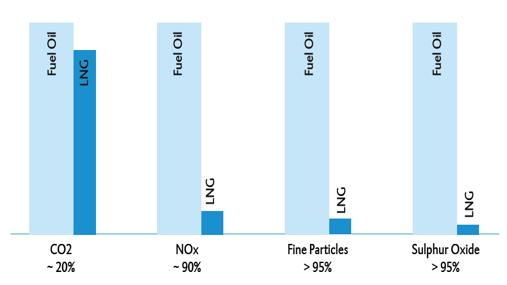 The Sleipnir boosts numerous other features, apart from the reduction of emissions due to the usage of LNG. It is completely outfitted with LED-lighting, has a heat/cold energy recovery system, equipped with variable frequency drives and state-of-the-art silicon based anti-fouling paint to name just a few. 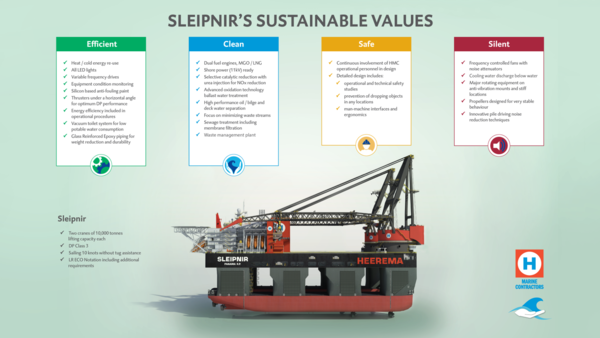 The sustainable design philosophy, implemented as early as 2013, clearly showcases Heerema’s dedication to sustainability beyond simply compliance. It shows that we act sustainable because we want to. Not because we have to.